Show cats -- judged by their lustrous coats and body size -- represent a feline ideal. But often times, they are actually obese, according to a recent study. Ronald Corbee, a veterinarian at Utrecht University in the Netherlands, inspected nearly 270 cats over the course of two competitions. Roughly half of the cat contestants -- in particular, Persians, Norwegian Forest Cats and British Shorthairs -- were overweight or obese, he reports. (That's twice the rate of all domestic cats, of which one in four are overweight.) When Corbee reviewed the American Cat Fanciers Association standards for the heaviest breeds, he found that many descriptions favor overweight conditions, such as "round," "chubby" and "broad-chested." 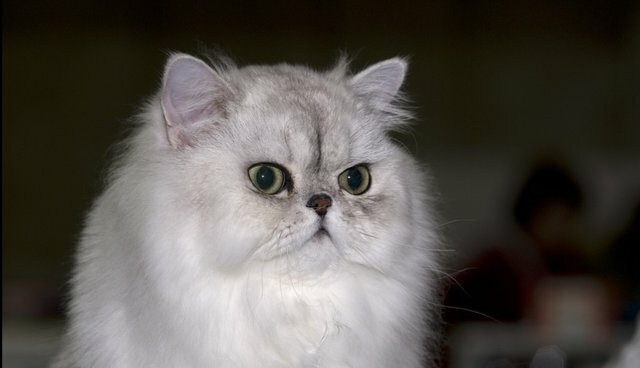 This news on obese show cats prompted Corbee to call for "firm discussions with breeders and cat show judges" to reevaluate the beauty standards for some cat breeds.